Inés is a senior who has attended ESJ since sixth grade and this is her second year on The Talon Times staff. Her focus is on human-interest stories and op-ed feature pieces. Her academic interests include politics, psychology and world languages. 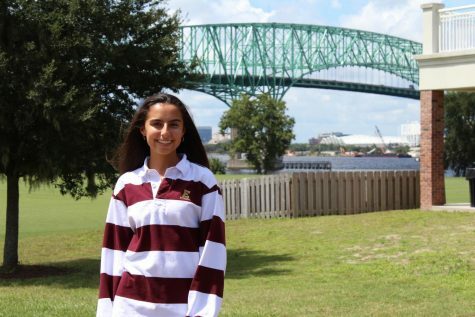 Inés has been on the Varsity Rowing team since eighth grade and started running JV Cross Country this fall. Outside of school and news writing, Inés enjoys reading, traveling and dancing in the rain.